Who are the Pasta Kidz? 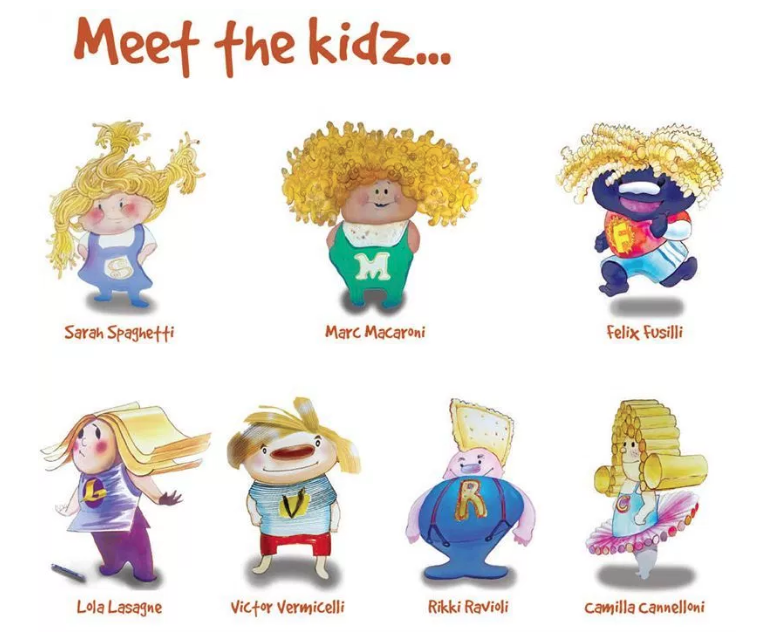 The Pasta Kidz are creative, clever and magical characters fashioned out of different types of Pasta noodles, each with their own Pasta Pet. The Kidz also have a unique vocabulary that make reading the book so much fun! What’s The Inventing Tubes About? The story begins with Marc Macaroni showing Sarah Spaghetti his inventing tubes and how to properly fashion an invention. Marc ends up making a fantastic Pastaball. Sarah, on the other hand, impatiently rushes through the invention process and discards the directions. Her invention becomes a catastrophe. With the help of their Pasta Petz the day is saved and they are able to play with Marc’s invention and have a wonderful time. 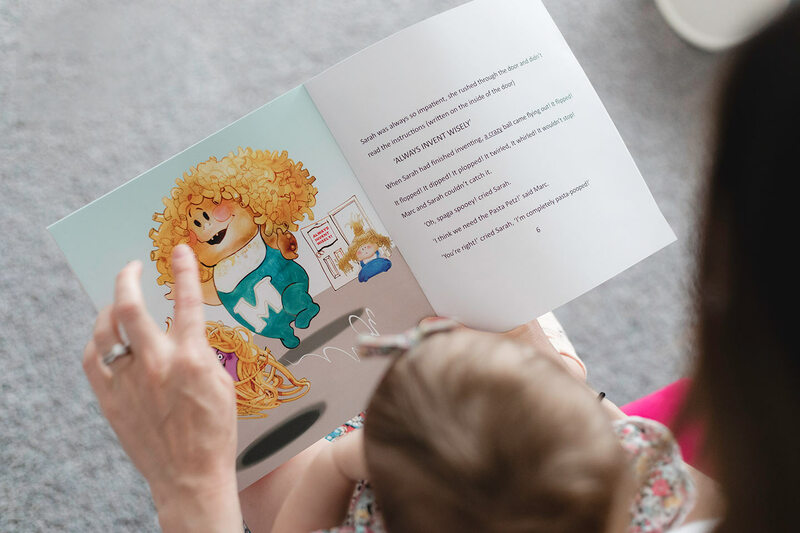 The book is filled with unique vocabulary, rhyming words, action packed fun. We loved how friendship was a prominent theme and that even if you look different and speak different languages it doesn’t matter! The Pasta Kidz series are geared for children ages 4-7. Filled with creativity and imagination, the characters have a unique vocabulary that make the book fun and interesting to read. At the back of the book is a glossary of all the vocabulary used throughout the story, just for reference. The theme throughout the first story is predominantly about friendship, patience, and coping with the unexpected. Thus emphasizing the importance of following directions. 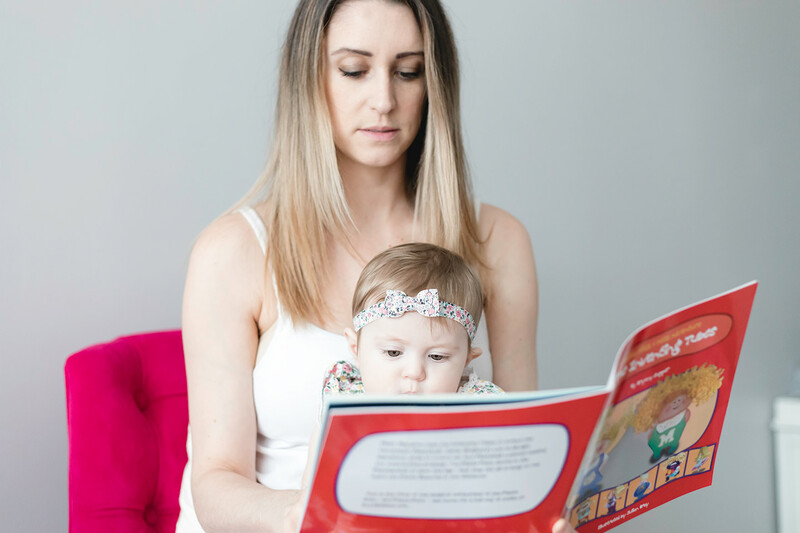 Although the book is written for older children, my daughter at 9 months of age loved hearing the rhyming words and songs from the book. She also loved looking at the colorful pictures. The illustrations are much more detailed than the typical baby books, providing dimension for her growth. When my daughter is old enough to eat pasta we will be sure to incorporate the Pasta Kidz characters at meal times. 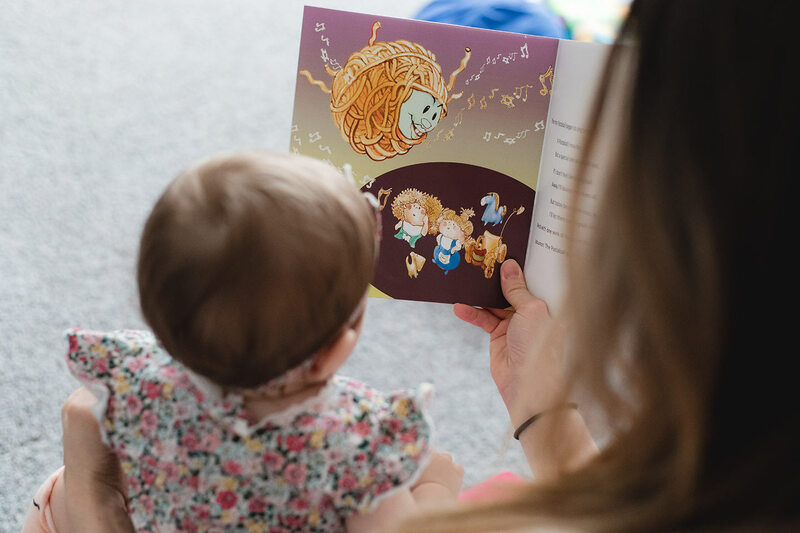 This will allow her to distinguish the types of pasta noodles, gain a larger vocabulary, and have fun connecting with the characters. We really enjoyed the book, and are grateful to Bryony for introducing us to her adorable and zany characters. 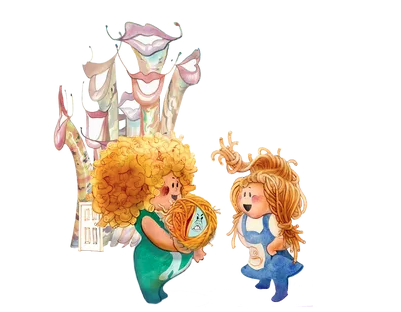 We look forward to the release of further books in The Pasta Kidz series! 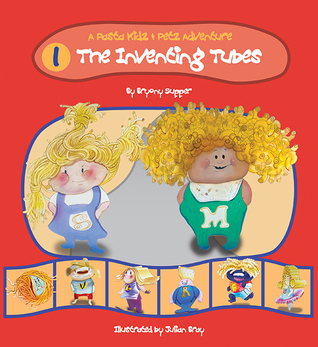 Disclaimer: I was provided with a free copy of The Pasta Kidz – The Inventing Tubes in exchange for an honest review on my blog. All photos are copyright to either MommaReview.com or The Pasta Kidz brand. All views in this review are 100% my own. This page contains affiliate links.